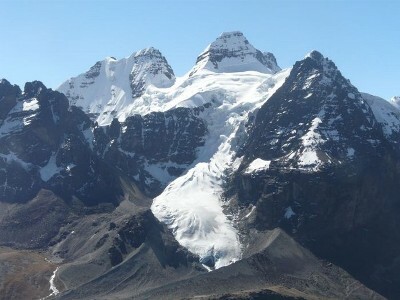 When approaching the Condoriri from La Paz, you can see among other peaks of the Cordillera Real, the heavily glaciered Condoriri mountain group. The eastern and southern flanks sprawl a round like wings, and the highest peak seems to be the head of a Condor. In the western part of the group the Pico Austria (5321 meters) offers you a glorious wide view. When looking from lake Tuni at the 5300 meters high symmetric rock pyramid of Cerro Austria, among the highest peaks of the Condoriri mountain group, you could not imagine that the ascent might be easy. 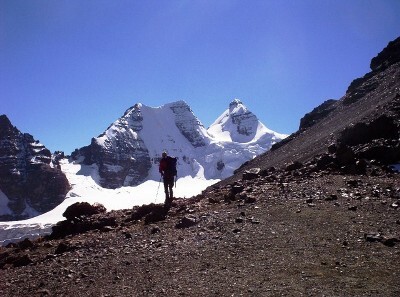 Climbing its top is often used for high altitude acclimatization and training tours before climbing the higher mountains of this mountain group like the Pequeño Alpamayo and the Condoriri. The base camp for diverse mountains ascents within this region lies at the foot of Pico Austria. We hike from Tuni around Tuni lake. On the end we turn right to cross a large valley. Nearly flat and straight ahead we walk towards the Condoriri base camp, at a beautyfull lake side of Laguna Chiar Khota. Behind the lake we turn left crossing some bigger rocks and find a small path which will lead us to a saddle between the Cerro Austria and his unnamend neighbour. At the saddle we choose the left way and climb up the steep slithery rockfields. Without technical difficulties we reach the top at of Cerro Austria at 5321 meters above sealevel with its breathtaking views. We leave La Paz early in the morning along the main road towards Lake Titicaca, but turning right into a side valley to reach the scenic mountain village of Tuni. 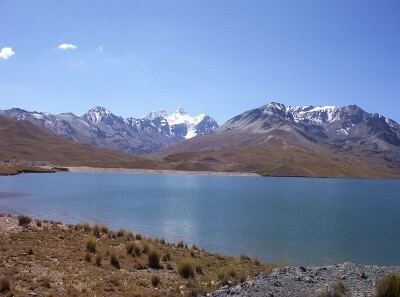 Next to it lies the Tuni lake, which is used as a water reservoir for the city of La Paz. Our trek takes us 3 hours and a mainly flat terrain. 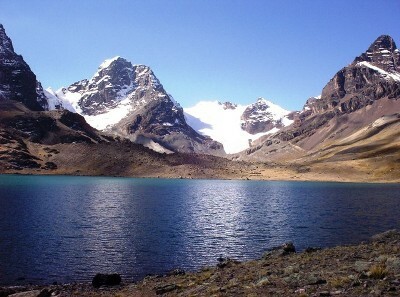 At the Chiar Khota lake we build up our camp, right next to the exciting ice and rock giants of the Condoriri mountain group. At 1 o’clock in the morning we will start our ascent to the top of Pico Austria. First we will head along small mountain trails and afterwards cross mazy rock formations before finally reaching the glacier. 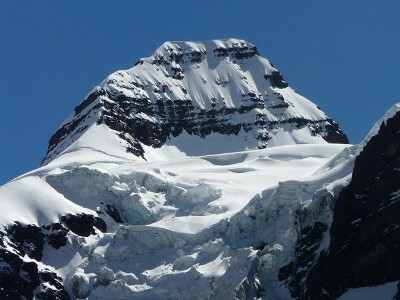 We will cross the glacier with a few ups and downs before conquering the steep summit head. In between we have to overcome the 50 meters high climbing part, before reaching the destination of our dreams. Later we have to climb down again and get to our camp where our packing animals are waiting for us. We hike back to Tuni from where our car will take us to La Paz.